Neuronium is the artist name and a Trademark of Michel Huygen. Based in Barcelona, Huygen created Neuronium Records in 2002 to release his own music as well as that of other fine musicians. But the name Neuronium first appeared in 1976 as the name of the group Huygen founded. Neuronium's first album was "Quasar 2C361" and was issued in 1977 by EMI-Harvest. Neuronium has undergone some personnel changes and, since 1982, has been a solo project of Huygen's with the occasional collaboration. 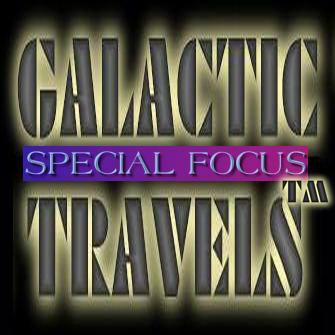 One collaboration was with Vangelis in 1981 on the Spanish television program "Musical Express." In May 1986 Michel Huygen was inaugurated by Her Majesty Queen Sofia of Spain as the person in charge of the department of electronic music at the Center of Art Queen Sofia of Madrid. 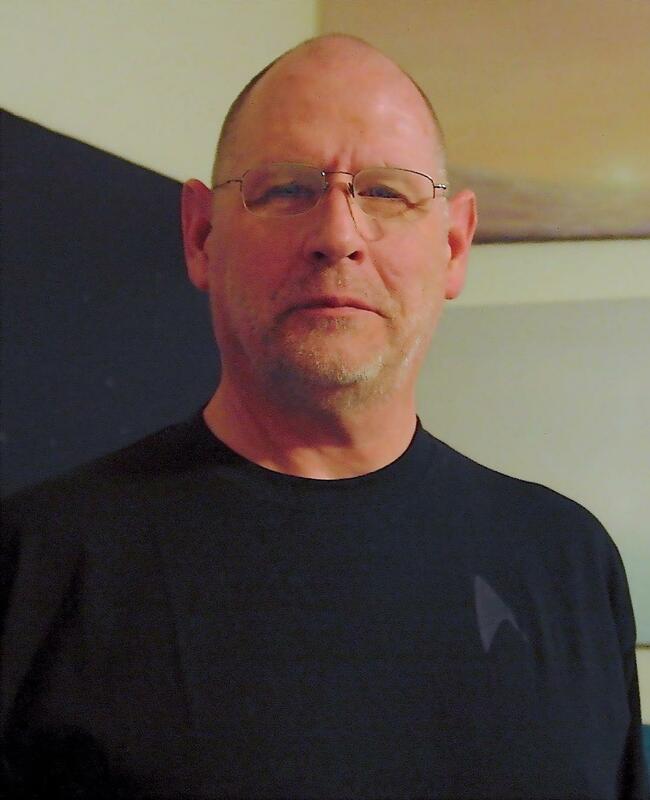 Neuronium's music has been referred to as psychotronic, New Age, ambient and space music. All albums are on Neuronium records. The Tao of Zero Ohms (literally: way of no resistance) is to listen while letting go. Music possesses the capacity for awakening a deeper part of ourselves which lies within. Zero Ohms (Richard J. Roberts) is driven to find this bountiful experience with open eyes, ears, and heart, seeking to find himself and the golden thread of truth within. From this, he is compelled into expression. A writer, painter, musician, teacher and producer, Roberts uses a range of instrumentation; woodwinds from around the world and electronics in a versatile palette of sonic colors. His sound is at once ancient and contemporary. 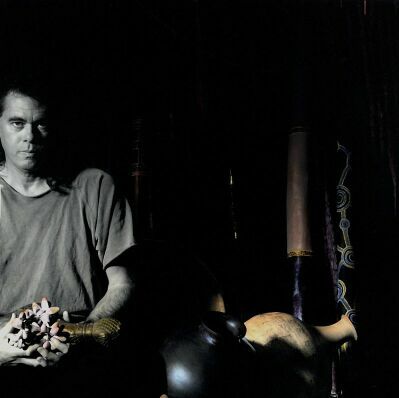 Jeff Greinke is a musician, composer, performer, and sound sculptor who is known worldwide for his unique sound. Through a highly developed process of layering, Jeff composes and performs music rich in texture, depth, mood, and subtle detail. Using various acoustic and electronic instruments, found sounds, and extended studio techniques, Jeff sculpts sound worlds that conjure a strong sense of place, hovering somewhere between the exotic and the familiar. Sensitive Chaos is the solo project of producer Jim Combs. The project often includes the talents of musicians Brian Good, Paul Vnuk, Jr., Tony Gerber, Christian Birk, Josie Quick, Greg Hurley, Otso Pakarinen, Tim Walters, and John McNicholas, as well as visual artists Charles Keiger, Demi Pietchell, Andrew Lee, and Eleanor Grosch. A core component of Sensitive Chaos compositions is improvisation. 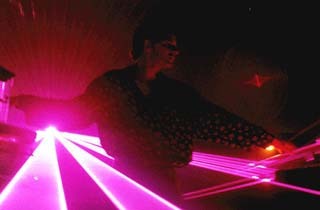 Many of the songs heard on the albums have their genesis in live performances or from live recordings. This unique approach to the music has endeared audiences and radio programmers around the world, garnering airplay across the US, UK, and Europe. Sensitive Chaos music has received many "Best Of" nods over the years. Sensitive Chaos has performed nearly 100 shows including the City Skies Festival, Different Skies Festival, electro-music Festival, and Nophest. 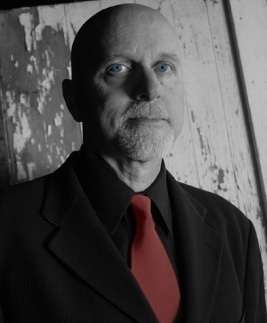 Combs is an ASCAP composer and publisher. He records and performs with alt folk singer/songwriter Kim Ware in The Good Graces, with alt rocker John McNicholas in The Sunset District, and with blues rockers Stacey Cargal, Ryan Taylor, and Mitchell Sosebee in Blackfox. All albums are on Projekt Records. All albums are on the Ricochet Dream label. 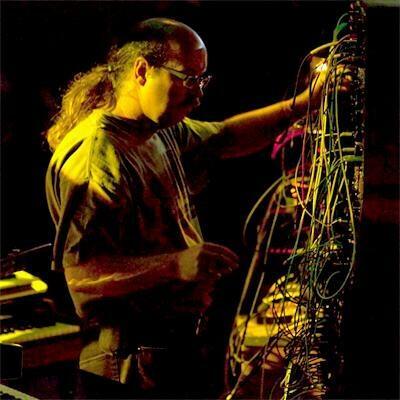 Modulator Experimental Synthesis Project (Modulator ESP) is Jez Creek from Nottingham in the UK. He performs improvised music that explores the boundaries of dark ambient, drone, Berlin School sequencing, and noise using modular synthesis, real-time sampling, sound manipulation, and live looping. 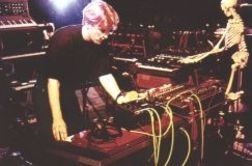 Emmens composes music in a style which is somewhere between retro Electronic Music (Berlin School) and symfo. His influences include Tangerine Dream, Ashra, Ennio Morricone, Hans Zimmer, Genesis, Manfred Mann, Wally Badarou, Vangelis, Mike Oldfield, Ryuichi Sakamoto, Richard Barbieri. Emmens has released many solo albums and collaborations with Ruud Heij. All albums are on Groove Unlimited Records. Parsick is one of the true leaders of the Berlin kosmische musik revival. He started his musical career when he joined Klaus Hoffmann-Hoock's bands Cosmic Hoffmann and Mind Over Matter. 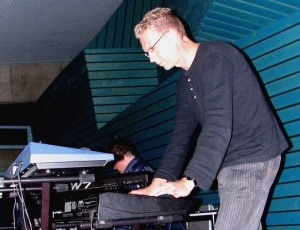 He was a founding member of ['ramp] with Frank Makowski and started his solo career in 1996. Parsick explores the darker side of electronic music, dubbing it Doombient which is also the name of his record label. 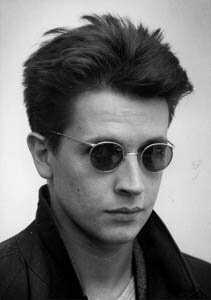 Inspired by the music of Tangeine Dream, Jean Michel Jarre, Vangelis and Kraftwerk, MEESHA started composing his own music in the early 90s. His first instrumental songs resulted in the release of his first album, "A Voyage to the Unknown." In 1996 MEESHA worked on a concept album which featured music inspired by the Titanic. Rich arrangements and atmospheric soundscapes gave this album its character. In 2009, MEESHA performed at the Electronic Circus Festival in Germany. He played music from his NOVIA album and a live version of Jarre's Oxygene 7. He received the Schalwelle Award for Best Newcomer. In the online listeners' vote, "NOVIA" was elected 3th best album and MEESHA was 2nd best artist of 2009. 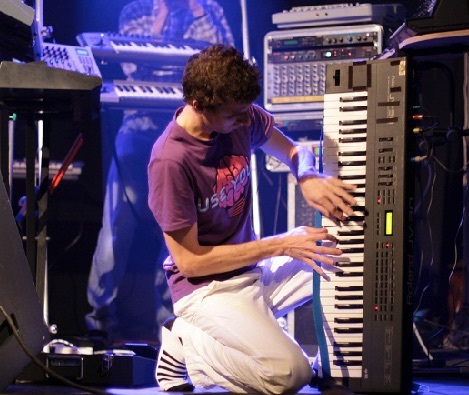 The concert at Electronic Circus was released on DVD in 2010, featuring the entire concert and the television interview for Lokalvision. In 2015, MEESHA performed again at the Electronic Circus Festival in Germany. Terje Winther has been making electronic music with synthesizers since the 1970s. 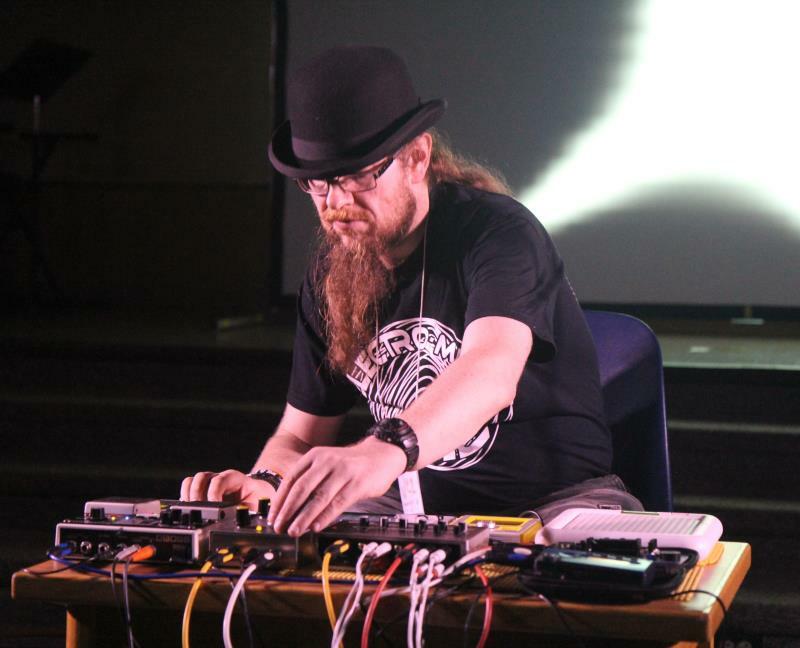 He records albums, performs concerts, and is involved in building a community for analog synthesizer aficionados in Norway. He is a founding member of the band WintherStormer. 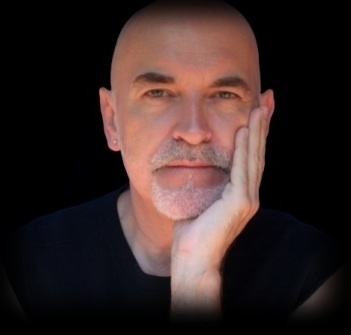 Terje Winther's musical background is in the gray area between modern serious music and experimental rock. He received his degree in composition and conducting from the Norwegian State Academy of Music in 1986. 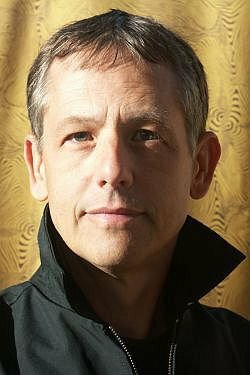 Through his work as an arranger and a composer, he has developed a wide range of practical experience in the music community. How music relates to non-musical realities, the relationship between music and other arts, and the function of music have always been of concern to Winther. His search for expanding the horizons of the music experience through content and communication has lead him to choose a wide range of expression in which contradictory elements become fused into uniform compositions. He is a member of The Norwegian Composers' Society. During 1992-93 he was the chairman of The New Music Composers' Group in Norway. All albums are on Bajkal Records.